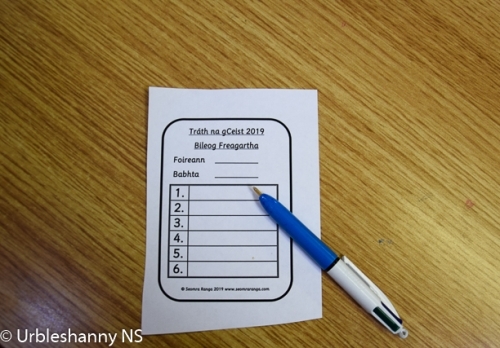 Tháinig rang a cúig agus rang a sé le chéile san iarnóin chun Tráth na gCeist a chur ar siúl. 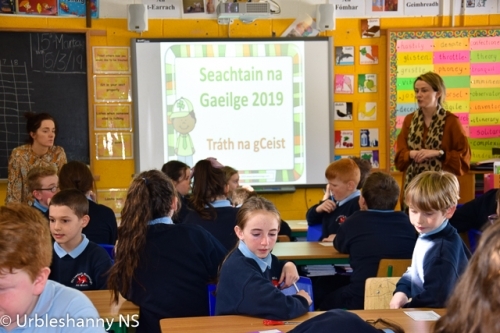 Fuair na múinteoirí ranga, Bean Mhic Rodáin agus Iníon Ní Dhálaigh, na ceisteanna ar an suíomh gréasáin 'Seomra Ranga'. Bhi ocht mbabhta le sé cheist i ngach babhta ar sleamhnán Powerpoint. 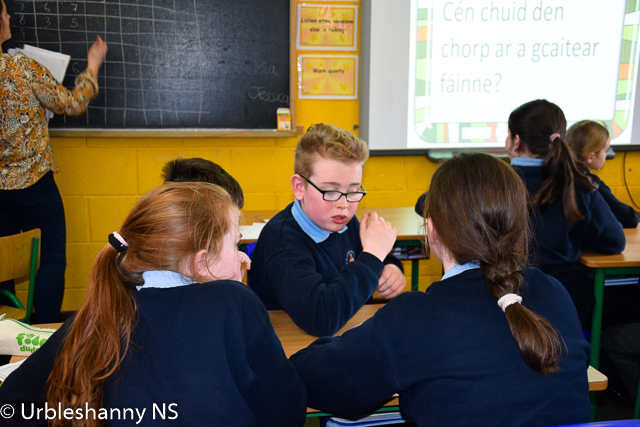 Bhain siad sult agus taitneamh as. 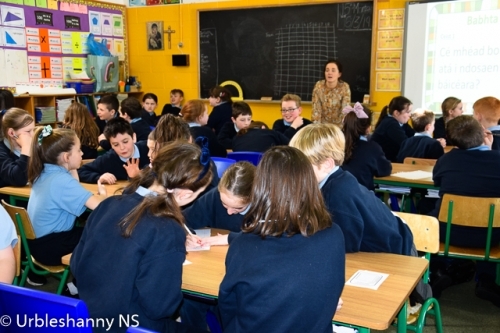 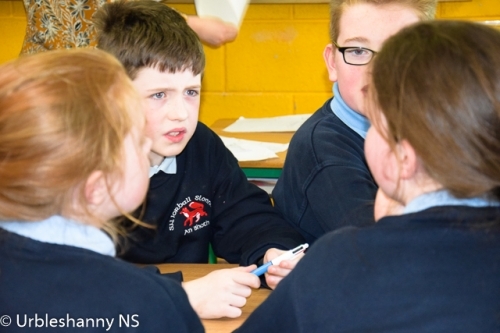 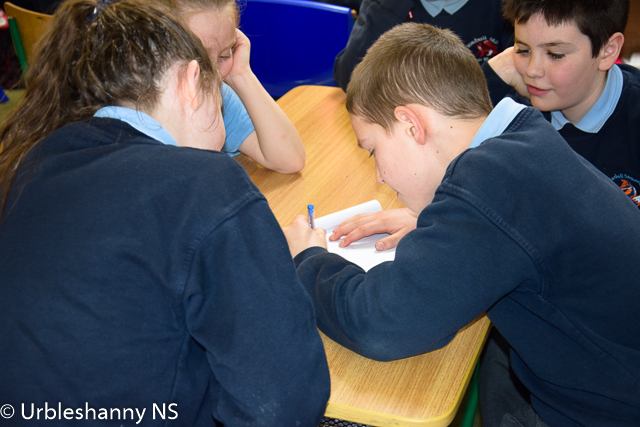 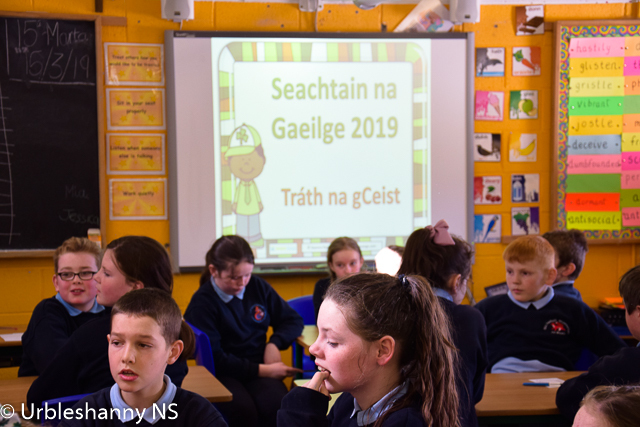 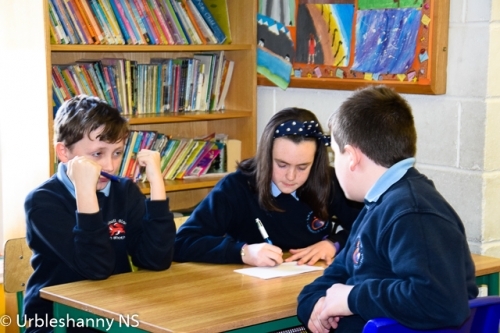 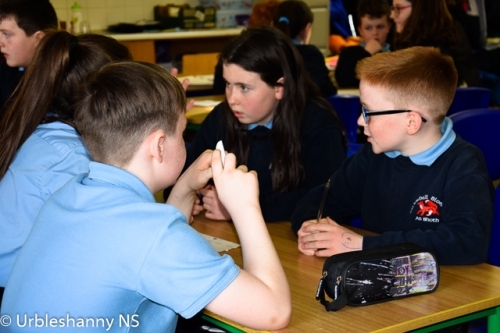 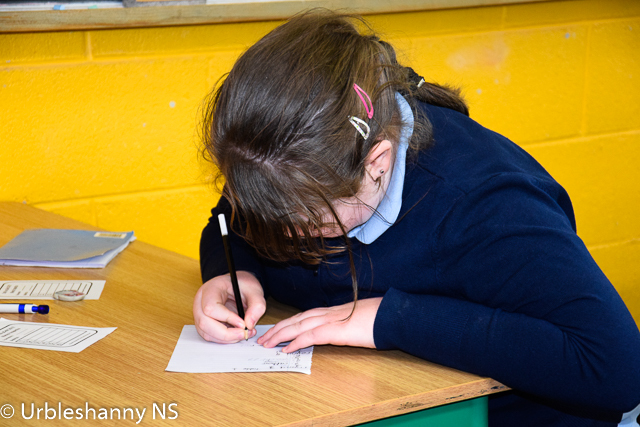 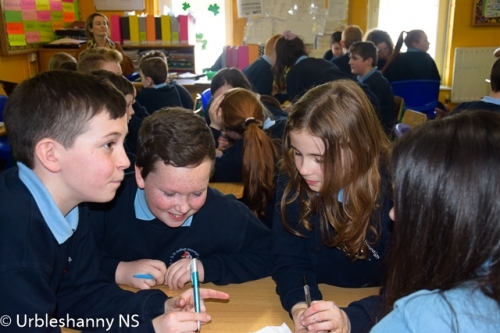 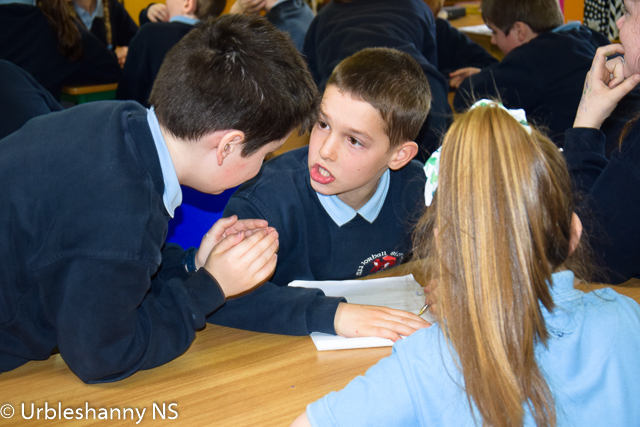 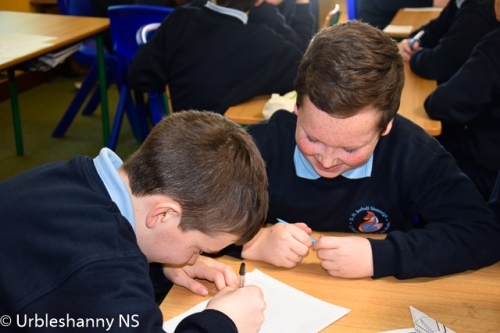 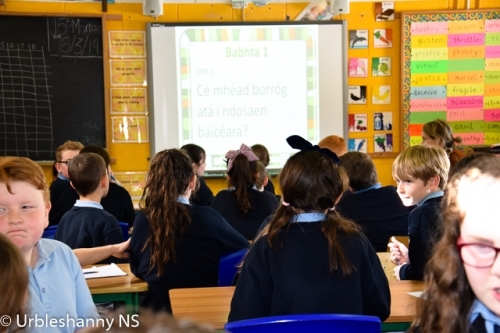 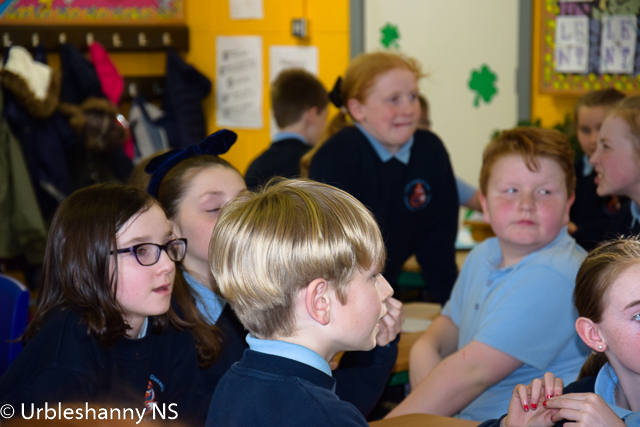 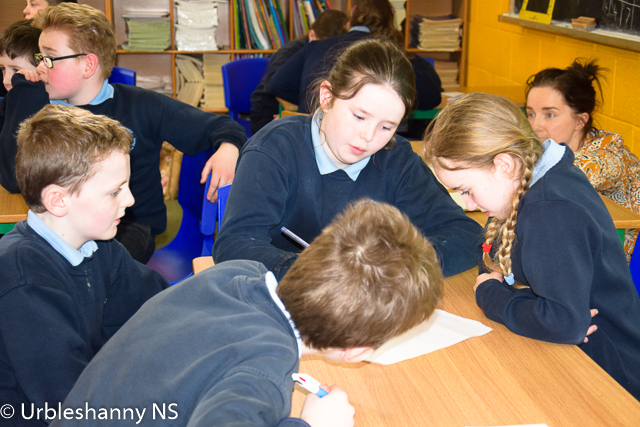 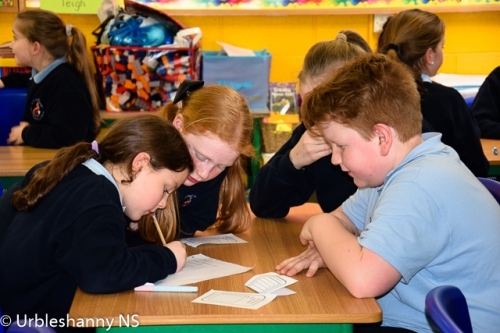 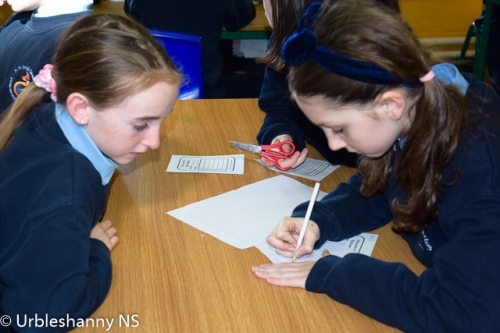 5th and 6th Class came together this afternoon to take part in a Table Quiz as Gaeilge during Seachtain na Gaeilge. 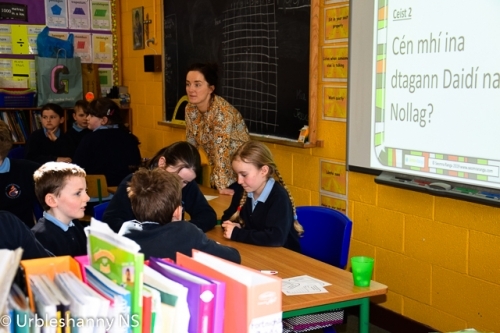 Mrs McCrudden and Miss Daly used a powerpoint from the website for Irish primary teachers 'Seomra Ranga'. 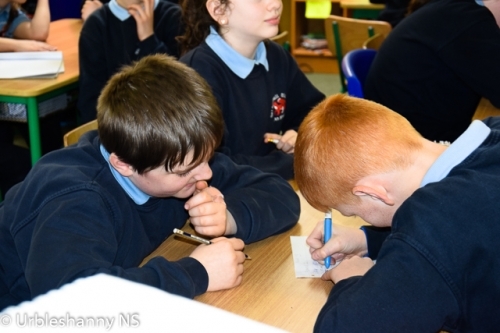 The pupils enjoyed the quiz immensely.